For Demineralization, we offer you Two Bed DM Plant. The unit consists of Cat ion and Anion column filled with resins. Depending upon the resin quantity the unit produces an output per regeneration. To get better quality of treated water, supercharged mixed bed DM unit is in series with Cat ion and Anion exchanger. 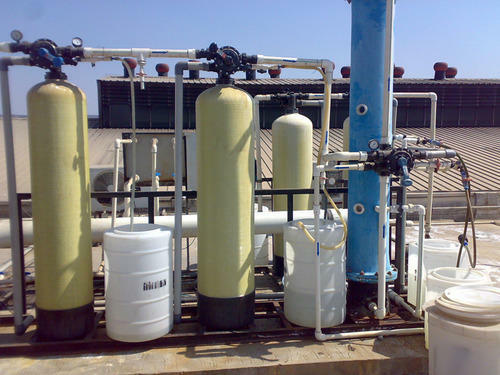 By keeping track with the market development, we are offering optimum quality Demineralization Plant that is is based on Ion Exchange technology. Our offered plant is widely appreciated by our prestigious clients for its precise design and durability. Comprises of minimum two vessels filled with cation and anion exchange resin respectively, it removes 99% of ions present in water and hence reduces TDS / EC by 99%. This plant can also be availed in various sizes, designs and other related specifications. Our provided plant is manufactured by a team of our adept professionals utilizing quality approved raw material and advanced technology. We offer this plant at market leading rates. Demineralisation Plant makes the underground water clean and fit for applications. Operating on the principle of degasification, ion exchange and polishing, the plant works on the technology that is one of the cost effective solutions for the treatment of water. In the process, all the present anions and cations are converted to their respective acids, leaving behind only hydrogen and hydroxyl ions that combine to form pure water. Looking for “Demineralisation Plant ”?